Cool Cats offers a full array of Electrical Services to meet the needs of both home and business owners. We offer around the clock service for any project – from small-scale remodeling to industrial construction. 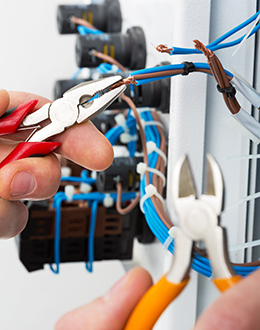 Our electricians are trained and maintain the highest skills to meet your needs.